Marco is a highly experienced corporate executive having previously held a number of senior sales, marketing, project management and property advisory roles. 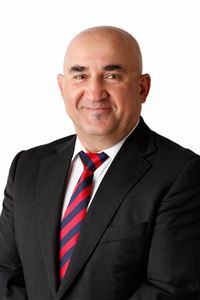 With over 35 years’ experience in sales and marketing in industries ranging from furniture retail to wholesale liquor, Marco’s property related experience includes sales positions with Acton Real Estate (Fremantle) and senior management roles with Acton Real Estate (Bicton); where Marco held responsibility for all relevant property management, sales, administration and budgeting functions. Marco was the Sales Director at Norfolk Commercial and handled all Commercial Property transactions for The Preston Real Estate Group. In addition, Marco has been a key facilitator in both residential and commercial property development projects, property trades and understands intimately the processes required to achieve successful property sales and development outcomes. He is a driven individual and is committed to ensuring results. Marco, enjoys listening to music, is a Fremantle Dockers Supporter, an accredited Coach for the paddling sports of Outrigger Canoe and Dragon Boat Racing, likes to keep fit and active competing in both disciplines, enjoys wine, food and just spending time with his family. Prime City Centre Location !